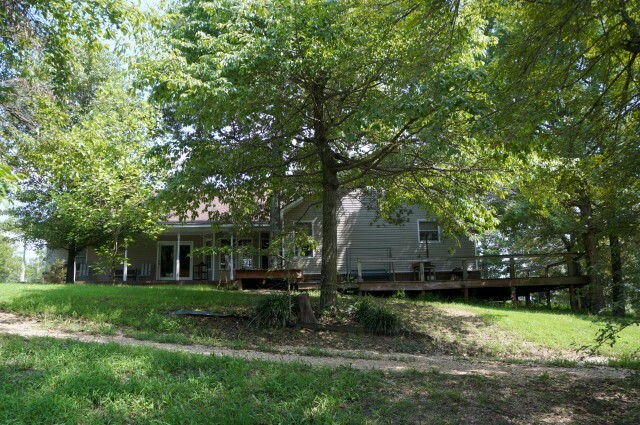 Country Home on 31 Acres M/L of Hillside and wooded land. 3 Bedroom house with great room, open kitchen, dining and living area. 2.5 Baths. Hardwood floors throughout. 2 Car garage. Wrap around porch/deck overlooks scenic woodland. Also included is a large shop building with a 1008 Sq. Ft. apartment. The apartment is an open great room with 1 bedroom and 1 bath. Screened patio/porch. An additional Barn with electricity is also on the property. 31 Acres is mostly fenced, pond, Great for cattle, horses and hunting. Mls1589 and mls2041. Listing agent Tina Privett.